The TONURV is the first ever laser toning and rejuventation system with scanning capabilities. With 760nm and 1064nm dual wavelengths, the TONURV is able to deliver comprehensive treatments. The TONURV also delivers laser pulses that are both stable and uniform to ensure effective and consistent results. The TONURV is equipped with dual hand-pieces. 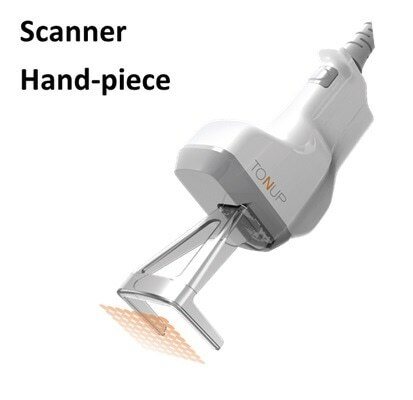 The scanner hand-piece is the first of it's kind and its ability to provide uniform toning treatments with adjustable scanning patterns sets it apart from other laser toning devices. 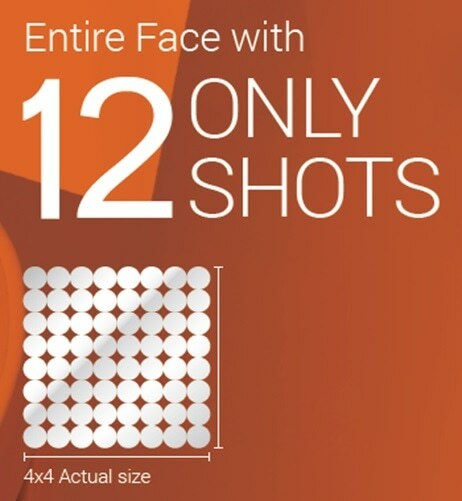 The unique scanning capabilities enable users to treat the entire face in only 12 shots. 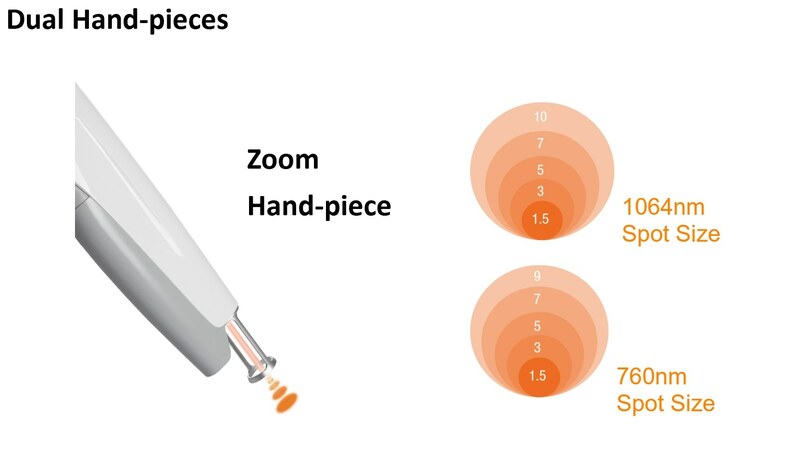 The zoom hand-piece offers unmatched efficacy by allowing users to quickly and easily adjust between spot sizes and wavelengths without having to exchange laser tips. The addition of a convenient one touch GUI and a built-in gas cooling system makes the TONURV an economical and user-friendly device.